When you work remotely itâ€™s the tools that can make or break a team. Choosing tools that arenâ€™t right for all of you will cause friction, and eventually isolation for those that arenâ€™t seeing value in the tools. Remote teams are already isolated physically; isolating them mentally by impeding their collaboration efforts is the ultimate killer of remote teams. 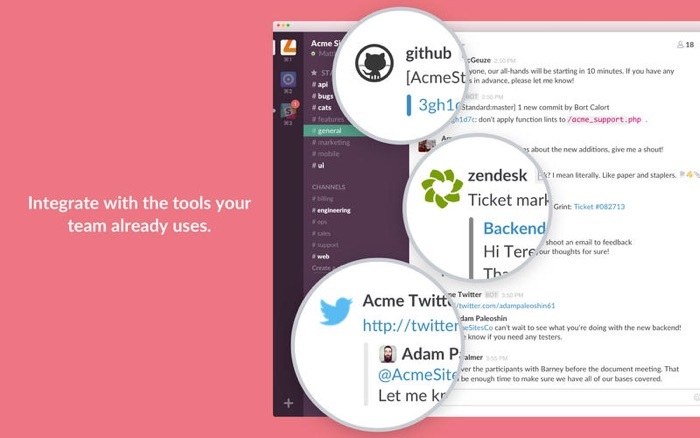 Letâ€™s take a look at seven tools that are excellent for remote teams. Meetings are time-consuming and often fruitless, because teams usually forget to set a clear agenda beforehand and keep track of decisions afterwards. Agreedo solves both of those issues. Ideas are turned into agendas, and then into meeting minutes after the online meeting has occurred. Any decisions made during the meeting are converted into trackable tasks and assigned to the attendees; any that werenâ€™t completed are carried over to the next meeting so that no stone is left unturned. Participants can attend the meeting via Mac, Windows, iOS or Android â€” very ideal for remote teams. 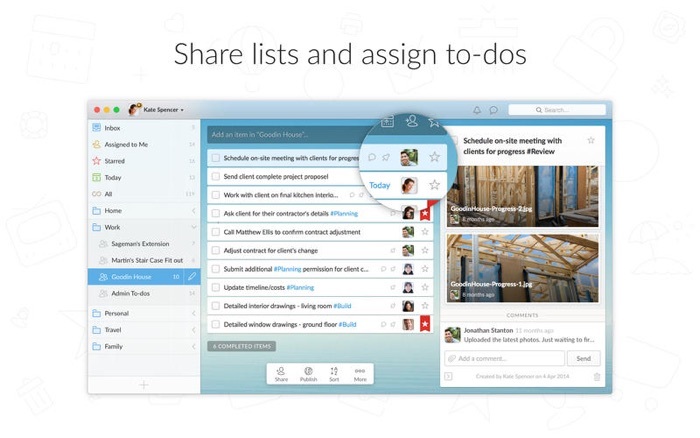 Microsoft have acquired Wunderlist and are now shutting it down. Todoist is a fantastic replacement. Itâ€™s hard to articulate exactly what you mean when youâ€™re not standing face-to-face with somebody. 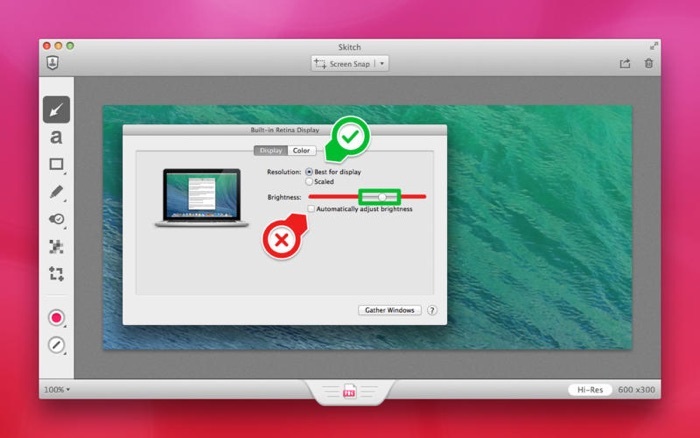 Skitch helps you communicate visually in the easiest way imaginable: with annotations like arrows, text, shapes, highlights and stamps (approvals, rejections, etc). What I love most about Skitch, aside from how easy it is to communicate ideas and opinions, is how quickly you can make screenshots (command+shift+6), send annotations via e-mail (command+shift+m) or export to an image file (command+e). Draft is like a simplified version of GitHub for Markdown files, enabling teams to collaborate on documents together and merge the specific changes made by individuals. Itâ€™s especially useful for writing articles or crafting legal documents (for the web or otherwise), that are then ready to be exported to Markdown, DOCX, HTML or PDF. Dropbox is a virtual storage system for maintaining and sharing files, but you probably knew that already. What makes it specifically useful for remote collaborators is the Dropbox API, allowing countless apps (including the critically acclaimed prototyping app, InVision) to use Dropbox as a foundation. Everybody loves the messaging app, Slack â€” itâ€™s fun. It does wonders for team communication as well, especially when that team is remote, but some teams have said that it kills productivity. I think this is because there’s a right way and a wrong way to Slack. When youâ€™re sending messages back and forth all day long, those valuable seconds build up. Instead you should set up integrations with the other apps that your team uses to increase your collaboration efforts and add valuable context to your messages. Some teams find Slack too distracting and agree that it hinders productivity by making conversation too effortless. Twist is a calmer alternative that fosters a message board-like culture, where teams can be more clear about the help they need, or the things they need to say. Just the fewer notifications alone is a huge win for teams that feel like there’s simply too many messages flying around. Some of the integrations mentioned in this article were made by Zapier. Zapier helps you automate workflows by connecting your favourite apps, allowing you to remain accountable and keep workmates in the loop at the same time â€” itâ€™s for busy workers who hate switching between various apps. All you need to do is tell Zapier which apps your team uses, and Zapier will connect them; this is especially useful if your team finds it hard to agree on which tools to use. For example: your team is divided between Dropbox and Google Drive. You can create a â€œZapâ€� (if there isnâ€™t one already) that sends Dropbox files to Google Drive and alerts the team in Slack when it happens. Nobody misses out, everybody uses the tool they love. Remote collaboration is hard. You may not think it at first, but the expression â€œactions speak louder than wordsâ€� rings true in this case, which is why a barebones Slack setup wonâ€™t necessarily do you any favors. Not only are these tools free (or have a free tier), theyâ€™ll help you weed out unproductive conversation and eliminate the time usually wasted bridging the gap between apps.